The Fulmar is a moto remix of the 1461, giving the classic 3-eye shoe an injection of vintage biker style, including an elastic gusset for easy slip-on access, a buckled harness and matte black hardware in Polished Smooth, the original Dr Martens leather polished to a soft sheen. The shoe is finished with a three eyelet lace-up ringed with metal loops that provide extended durability during everyday wear and the Fulmar unisex leather shoe is built on the iconic and comfortable Dr. Martens air-cushioned sole. Ideal as everyday work wear! 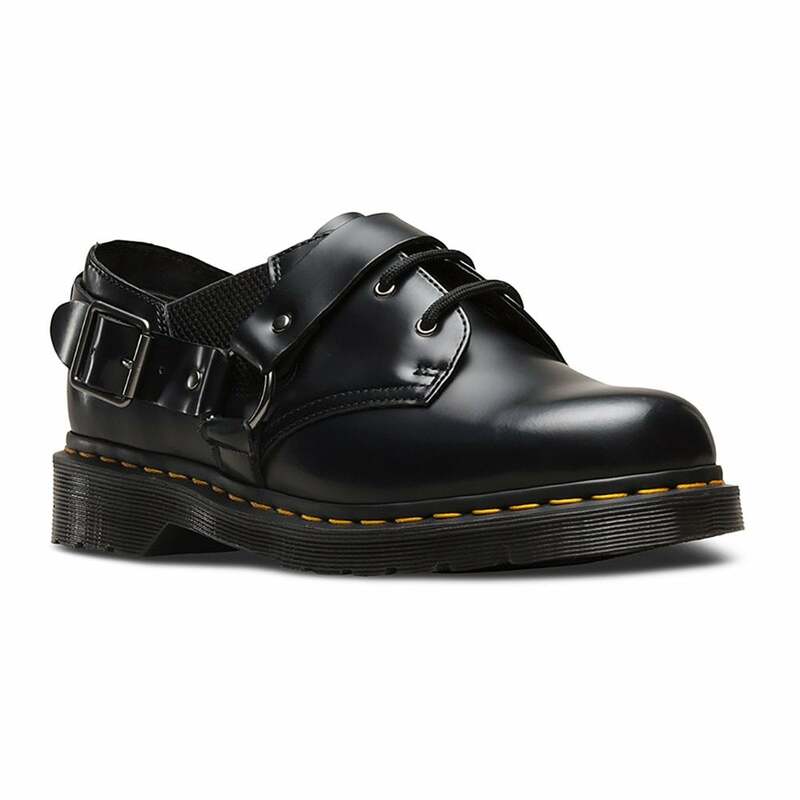 Get your Dr Martens Fulmar Unisex Leather 3-Eyelet Shoes today!